Before I say anything else, I want to say that I agree that we shouldn’t traverse Little Duck Hawk anymore. That is a place where peregrine falcons live, and it is wrong to invade their homes. This post is partly about how a sense of adventure can collide with environmental responsibility. The Smoky Mountains Hiking Club used to go up and down, backwards, forwards, and sideways on this ridge. It was a standard hiking club thing to do. Looking through the old SMHC handbooks, I found one from the 1960s that spoke of how the ridge had formerly been the haunt of the peregrines, but because of DDT, they were no longer to be found in that area. This would have been a few years after the publication of Rachel Carson’s Silent Spring. 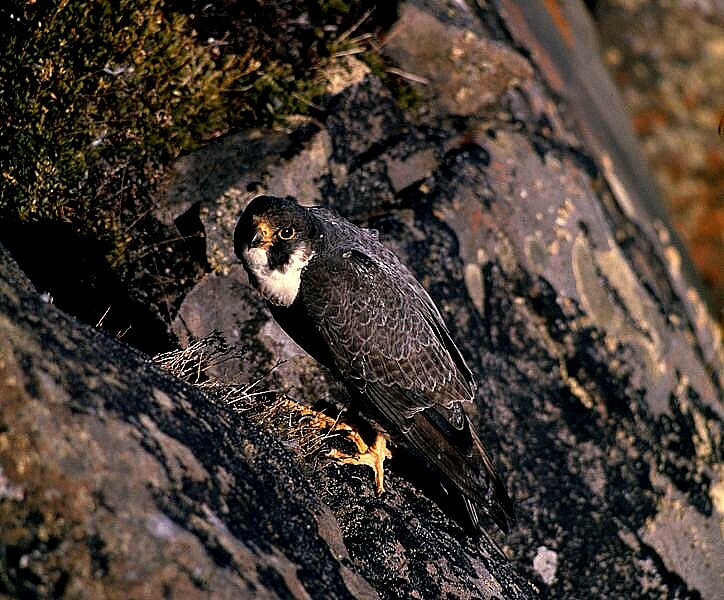 But now, thank goodness, the peregrines are back. And the hikers are gone—at least, the ones who care about these things are gone, or those who obey the current National Park Service restriction that forbids people from climbing the ridge. For me, Little Duck Hawk was always a test of my ability to master my fear of heights. At its narrowest point, the ridge was little more than a foot wide with sheer dropoffs on both sides. Before I ever climbed it, I saw a picture in a slide show that captured the spectacle of a whole line of maybe 12 or 15 people going up the hand-over-hand section into the thin air, progressing one by one in steady unstoppable fashion, conquering the ridge in something approaching military indomitability. I recognized some of the people in that line. I won’t name any names, but I knew that some of them were real chickens when it came to things like difficult rockhopping. I decided then and there that if they could make it up Little Duck Hawk, I could make it up Little Duck Hawk. The first time I did it, it was not on an SMHC hike but with my former husband Chris. He was always much less afraid of heights than I was. We dropped down from the trail into the unofficial territory, maneuvering over slabs of Anakeesta shale that were like giant layers of strudel. This was a good warmup. Before long we had completed the initial descent, and we were looking up at the “crux”—a rock staircase with an extreme amount of exposure. I don’t remember who went up first, me or Chris, but after stopping for a moment to focus and take a deep breath, I simply maintained my forward progress and systematically climbed up the staircase, reaching up and grabbing the Anakeesta layers with my hands and stepping up with my feet. I remember that the rock was nice and toasty in the afternoon sun. Soon we were up on the narrowest part, the section that has the hole underneath that forces of nature have drilled all the way through the rock. The narrowest part of the ridge is about 18″ wide and continues for about six feet. Walking forward was no more difficult than walking across the living room as long as you didn’t think about what would happen if you stubbed your toe or stepped on your shoelace. Before long the ridge had widened and we were working our way down into the dense rhodo that surrounds the ridge. The interesting thing for me, something I still don’t fully understand, is that my fear of heights has never bothered me in the Smokies anywhere near as much as it has in some other places, like the Rockies or the Sierras. In fact, I have climbed in some pretty preposterous places in the Smokies. There is something about the Smoky Mountains that seems to nourish me and take away any fear that I might have. 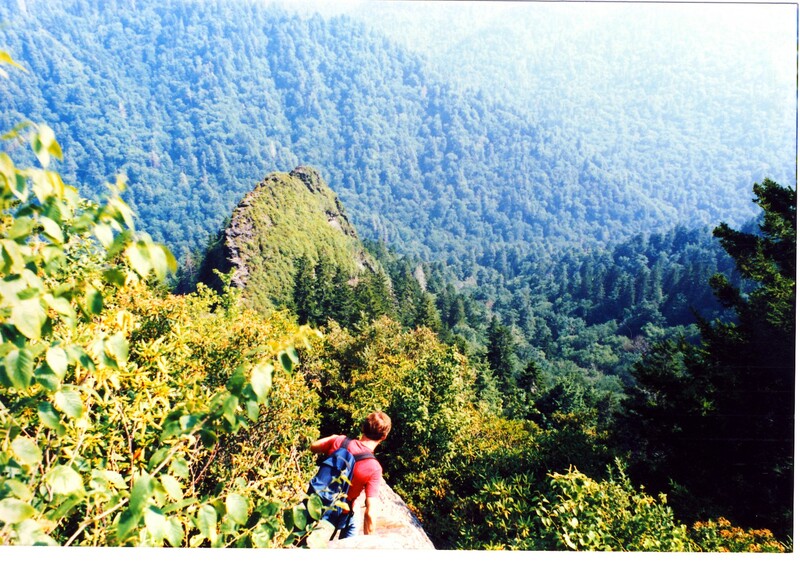 Sometime in the mid-1990s I brought Bob down to the Smokies and took him across Little Duck Hawk. Bob said at the time that it was the scariest place he had ever hiked, but he made it. I have done it by myself, going up and going down, just to see what it felt like to do it alone. It’s easier to do it from the top down. If you start from the bottom, you have to angle through a jungle of rhodo and keep the faith that you’re going to get past all that rubbery vegetation and up onto solid rock. Going from the bottom, it also means that you downclimb the trickiest part. It meets the definition of Class 3 scrambling: you have to face the rock to go down. It would probably meet another definition of Class 3 that I read somewhere: your dog wouldn’t be able to do it. The hiking club hasn’t done it for a very long time. I don’t know exactly when the Park Service said you couldn’t go there any more. I understand there are signs now on the rough herd path that tell you not to go any further. I suspect that some people will probably criticize me for even writing about this place. But for me, trying to understand and describe experiences is the most important thing that I do in my life, and I’ll take whatever lumps come my way. And I will also say that there are other places you can go that are just as interesting and challenging. You just have to study the maps. Posted by Jenny in Civil War, history. "Am I not a dashing fellow?" I was intrigued by this description and became still more fascinated when I studied the events of the Fort Donelson battle, in which Pillow seemed at first to have the upper hand but then made an inexplicable decision that led to an embarrassing defeat. The most competent of the Confederate officers present, Nathan Bedford Forrest, had ended up fleeing with his cavalry through a swamp in the dark of the night, undoubtedly cursing Pillow as he went. Not only was I intrigued, but I also loved the name. Gideon Pillow, Gideon Pillow… the name sounded as plump and self-satisfied as the man himself. General Pillow could not have been improved by any amount of invention. He comes to us already perfect out of history, a creation whose shining incompetence was set off to best advantage by his own pompous pronouncements. He first emerges from history’s shadows in the summer of 1846, when several battles of the Mexican war had already been fought and Congress had finally voted to ratify the war’s existence. 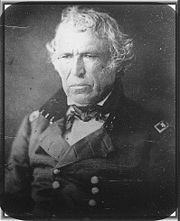 In its lengthy deliberations, Congress had authorized appointments for a large number of volunteer generals. Pillow arrived at the camp of Zachary Taylor (“Old Rough and Ready”) as one of the first contingent of generals. Taylor was said to be disconcerted by this surplus of generals, who were more numerous than he knew what to do with. But Pillow was ready to face the trials of combat, or so he thought. He had served with the Tennessee militia during the tranquil 1830s, when his competence and nerve were tested to the limit by the fierce rigors of drills and inspections. 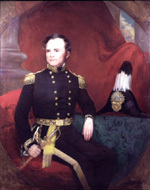 He held the rank of brigadier general, a political post won through his association with his former law partner, James Polk. Posted by Jenny in memoir. When I created this blog, I did not intend it to be a a diary of my personal life. However, something very important has happened to me and I want to share it with my blog visitors. My longtime companion, Bob, told me two days ago that he wanted to end our relationship. We met in 1994, and we have lived together since 1995. You could have considered us more or less a married couple, except that, being unconventional people, we never particularly wanted or needed to have our relationship formalized. There were, in fact, many unconventional aspects to our relationship. Most striking, probably, was that I was nearly ten years older than him in a world that prizes youthfulness in women. There were other oddities: he worked for UPS, while I’ve had desk jobs most of my life apart from a stint of landscape/ gardening work. He did most of the cooking, and I did most of the yard work. We met when hiking in the White Mountains, and we have climbed countless mountains together—hundreds of mountains, anyway. That was our biggest shared interest, but we also skied, biked, and paddled canoes together. We shared tastes in humor, in movies, and in music. The reasons he gave me for leaving were perfectly understandable. It wasn’t anything bad—he hadn’t met another woman or anything like that. It was more like a gradual loss of sparkle, I guess. And maybe Bob just isn’t quite as interested in hiking as he used to be, though the outdoors will always be important to him. He did say that he wanted to spend more time doing things like cookouts with his family. I’ve never been much of a hang-around-the grill-for-the-afternoon kind of person. I’m just no good at small talk—I always feel like I’m faking it. Bottom line is, I get bored. Sunday afternoon, after Bob packed up his things and left, I watched a DVD that I’d recently ordered because it had been mentioned on one of the Internet forums I visit. It was about George Masa, a mysterious man who came to the US from Japan in 1901 to work in the mining business and eventually settled in Asheville, NC, because he loved the mountains of western North Carolina. He had a photography business and took wonderful pictures in the Smokies and nearby ranges. 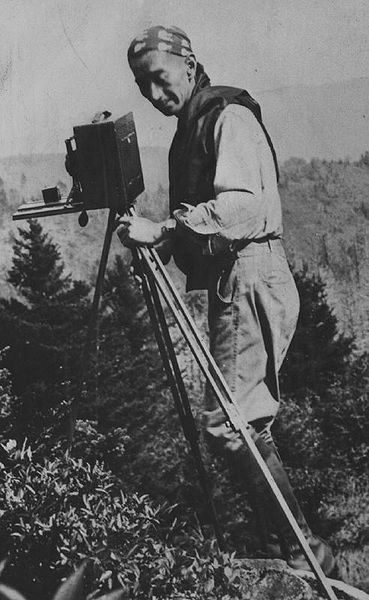 As the movement grew for establishing the Great Smoky Mountains National Park, he became a major force in that effort, exploring, measuring trail distances with a gadget made out of a bicycle wheel, always taking many beautiful pictures of the mountains. Nobody ever knew why he left Japan. He died nearly penniless in 1933, having no contacts with anyone in his native country. Many years later, a peak in the Smokies was named after him in his honor. 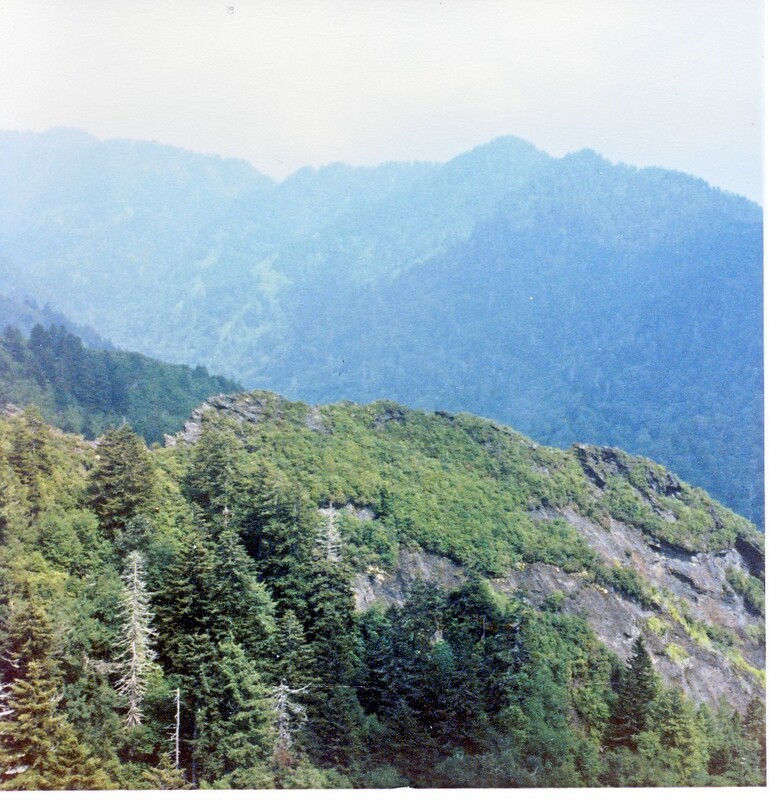 Masa Knob, elevation 5685 feet, stands between Charlies Bunion and Mt. Kephart, the latter named after his dear friend Horace Kephart. It’s hard to explain why, but I find the thought of George Masa to be very comforting. It has something to do with his being a solitary soul, because I recognize that I too, in some ways, am a solitary sort.